How does CT calcium scoring work? Calcification of coronary arteries is a sign of atherosclerotic disease and can be quantified using multislice computed tomography (CT). How long does it take? CT calcium scoring takes approximately 5 minutes to perform and interpret. What is the radiation exposure for a typical CT calcium scoring examination? 1.5–3.0 mSva. There are different figures available for the long-term effects of this. However, to put it into perspective the radiation exposure of CT calcium scoring is the same as a barium swallow2,a (1.5 mSv) and less than a myocardial perfusion scan with SPECT(technetium) (6 - 8mSv)a,b, or a CT scan of the abdomen / pelvis2,a (10 mSv). With the most modern scanners and expert operators the radiation exposure can be kept at the lower level. CT calcium scoring is better at ruling out CAD in this group as it has a much higher sensitivity for CAD. This means that by using CT calcium scoring instead of exercise ECG, fewer people will be referred on for unnecessary further testing, which often involves exposure to higher levels of radiation. What percentage of people presenting to a chest pain clinic are likely to require CT calcium scoring? Based on an analysis of people attending a rapid access chest pain clinic (RACPC), up to 17% will be referred for CT calcium scoring. 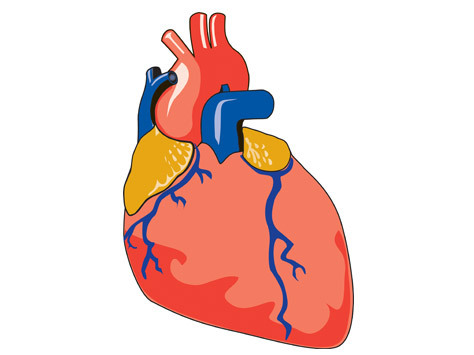 With an estimated likelihood of CAD in the 10–29% range, it is likely that at least 70% of this group would have non-calcified arteries and be ruled out for stable angina, requiring no further testing. Only people with two or more features of angina and in whom stable angina is suspected based on clinical assessment and resting 12-lead ECG results should be investigated for stable angina. It is anticipated that a third of people presenting to a RACPC will be ruled out at the clinical assessment stage. Of these, a majority will be the low risk and younger people. For those people in whom stable angina is still suspected, it is likely that they will be assessed as having a low estimated likelihood of CAD and will be referred for CT calcium scoring. This test is better than exercise ECG at ruling out CAD in this group. This will reduce the number of people who are required to have further testing to rule out CAD and avoid higher radiation doses. Studies have shown that there are worse outcomes if continuing progression of coronary calcium and worsening calcium score. Among 4609 consecutive asymptomatic individuals, progression of CAC was significantly associated with mortality regardless of the method used to assess progression. Progression was very limited and did not predict mortality in patients with baseline CAC = 0. Though there may be some increase in calcification with plaque stabilization, this is where the location, type and characteristics of coronary calcium in the repeat scans are helpful to differentiate stabilization versus worsening disease. In the Multiethnic Study of Atherosclerosis, both incidence and progression of CAC were associated with increases in risk of CHD events; the association of progression of CAC with CHD events also remained after adjusting for baseline CAC score. Among participants with baseline CAC, those with annual progression of ≥300 U had adjusted HRs of 3.8 (1.5–9.6) for total and 6.3 (1.9–21.5) for hard CHD compared with those without progression. In addition, also in the Multiethnic Study of Atherosclerosis, we showed progression of CAC to predict CHD events both in those with MetS and diabetes . Also, in the BELLES trial, Raggi et al. studied aggressive versus moderate lipid-lowering therapy in the postmenopausal women and identified that though there is a positive trend toward less progression in CAC with aggressive lipid-lowering therapy, it was not statistically significant . Indeed, the 2007 ACCF/AHA consensus document on CAC scoring stated that clinical monitoring of CAC progression through serial fast CT scanning is not recommended and appropriate use criteria classify the repeat use of coronary CT scanning as ‘inappropriate’ in asymptomatic patients with known CAD and previous CT scanning. Though the guidelines do not recommend repeat scans, based on the studies above, there may be some benefit to certain patient subpopulations.